LanPro supplies the Lightning Arresters needed to protect wireless equipment from atmospheric discharges and voltage and/or current surges that travel through the coaxial transmission lines, that could cause your costly network resources to breakdown. 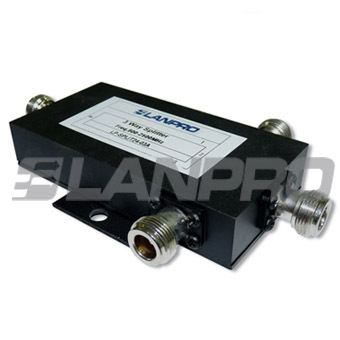 Available for the 2.4 GHz band as well as 5.8 GHz bands. They have an impedance of 50 Ohm and minimum insertion loss. LanPro arresters can take as much as 10.000 Ampere of current surge by using the 8x20uS industrial standard scheme.